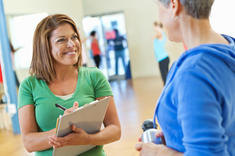 Open Enrollment for AlaskaCare is from November 4 through November 25. This is the time to review your current elections and the covered dependents under your health plan and to make changes for the upcoming benefit year, effective January 1, 2016. Don’t miss the final health fair of the season in Anchorage on November 7 and 8. Please see the health fair schedule for details including pre-registration requirements. 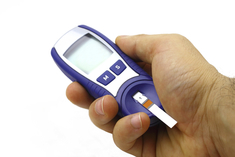 November is National Diabetes Month, so how do you avoid getting this common condition? Join us as we discuss common risk factors for diabetes, plus things you can do to prevent or manage it. Hint: Living a healthy lifestyle is your best defense. 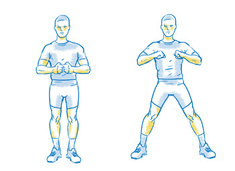 The feet jack is an exercise similar to the jumping jack that helps increase strength and power in your legs. It mainly works your quadriceps but also works your calves. 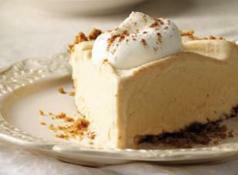 For a twist on a classic holiday dessert, try this frozen pumpkin mousse pie. It’s lighter than traditional pumpkin pie, but will still be a crowd pleaser. Holidays meals tend to be rich and high in calories, but they don't have to be. 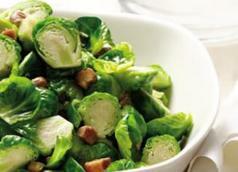 Pair healthful brussels sprouts with chestnuts and sage for a flavorful and nutritious way to lighten up a meal.